You know you'll have to use the bathroom sooner or later in Sweden. But oftentimes, foreign toilets are different from the ones you may be used to. It's best to brush up on some bathroom tips before your first trip to the toilet in Sweden. The toilets in Sweden are modern and sometimes have fun Scandinavian designs to keep you entertained. There are many public restrooms close to popular sights, which are easily accessible for tourists to find. (This is especially the case in the capital city of Stockholm.) 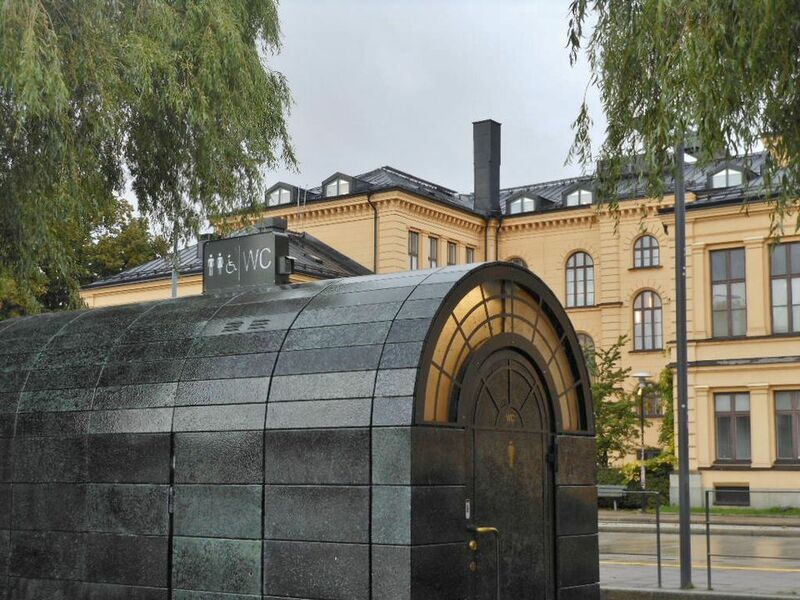 Public toilets in Sweden are self-cleaning (rotating toilet seats) or cleaned manually on a regular basis, especially toilets in malls and sit-down restaurants, so you don't have to worry about a dirty situation when you go to do your business. Sweden doesn't have many squat toilets either. One of the biggest downsides to using the public bathroom in Sweden is they can cost money. When you enter, you may be required to pay two to five Krona (about 25 to 50 cents in USD)—and it has to be in exact change, which can be a bit inconvenient. These pay-per-use potties aren't expensive, but it can come as a surprise to travelers. With this in mind, it's smart to carry coins just in case you need to make a bathroom run. Similarly, fast-food restaurants tend to charge a small fee as well, and some have locks to keep out people who aren't guests. If you are dining at the restaurant, just ask your waiter for the bathroom lock code. Either way, it's common courtesy to pay for something—whether it's a small item or drink—before you ask to use the bathroom. Also, the train station is one of the few places in Sweden that tend to have dirtier bathrooms. If the train station is close to your hotel, you may want to wait to use the loo there. All toilets in Scandinavia show the symbol for ladies and gents restrooms, so they're easy to identify. Even if it's an emergency, men should never use a bush or a tree to do their business. In Scandinavia, that can quickly earn you a large fine. If you're tacking on trips to other Nordic countries—such as Finland and Iceland—you may want to check out their bathroom etiquette as well. It can differ a little from Sweden.